Somewhere Between Get Your Game On And Feeling The Flow! Developed and published by Dark Roast Entertainment Lucadian Chronicles is a card battling game that is clearly inspired by Magic: The Gathering and Yu-Gi-Oh! though it definitely leans more towards the former. 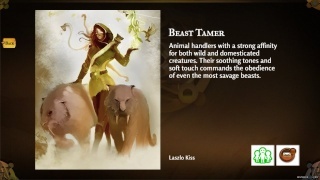 The game has a great campaign though it does have very unfair difficulty spikes that throws off the balance of the game, the game could also use more cards "especially magic cards" which hopefully will be added during future updates. There are other modes as well such as the Colosseum mode where you can face off against other players online using your own deck and an online draft mode where you and 1-3 other players must enter a card draft to build a deck and battle it out tournament style! There's also a card lab to build your own decks and have them face off against each other to help you learn how each of your cards work! The battles are automatic so the placement of your units before each battle starts is extremely important to maximize your chances of victory! The game does have many bugs in it's current state and the developers are trying to iron them out, but as it stands right now the game is definitely rough around the edges, however the issues aren't serious enough to ruin the overall experience of the game. The touch controls and other Gamepad features are great and really add to the game, while the free demo of the game is a nice touch and allows everyone the chance to try out the first campaign chapter and limited online features of the game! Lucadian Chronicles has decent graphics that get the job done without impeding the flow of the gameplay. 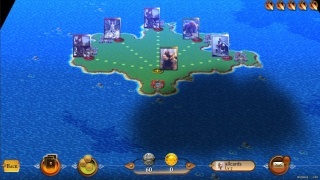 The artwork of the cards are nicely designed and the maps and menues are sleek and allow you to quickly begin matches! The music of Lucadian Chronicles is fitting and the sound effects also sound simple enough that they won't annoy you during battles! 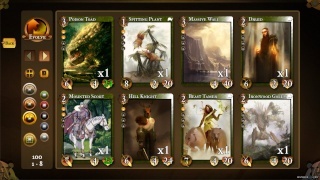 With fun, albeit flawed gameplay, excellent controls, and great use of the Wii U Gamepad Lucadian Chronicles has its moments and can be quite fun at times, but steep spikes in difficulty and many glaring, though not game-breaking bugs really hamper this game's potential and the game could definitely use a larger selection of cards. Though as it stands right now Lucadian Chronicles is a decent game that's just on the cusp of receiving a solid recommendation from us. We recommend that you try the demo version first and if you like the demo you should definitely consider purchasing the full game, but if not you might want to pass on this one. I'm going to download the free version, but I'm still not sure if I'll unlock the full version or not. I've already downloaded the free version, but I doubt that I'll upgrade unless the game receives more content sometime in the future.